The aisles of stores like MicroCenter and Frys cater to people who like to assemble their own computers from a preferred mix of graphics cards, memory, chips and storage in tricked-out cases. But you could build a computer way back in 1956 if you were so inclined. 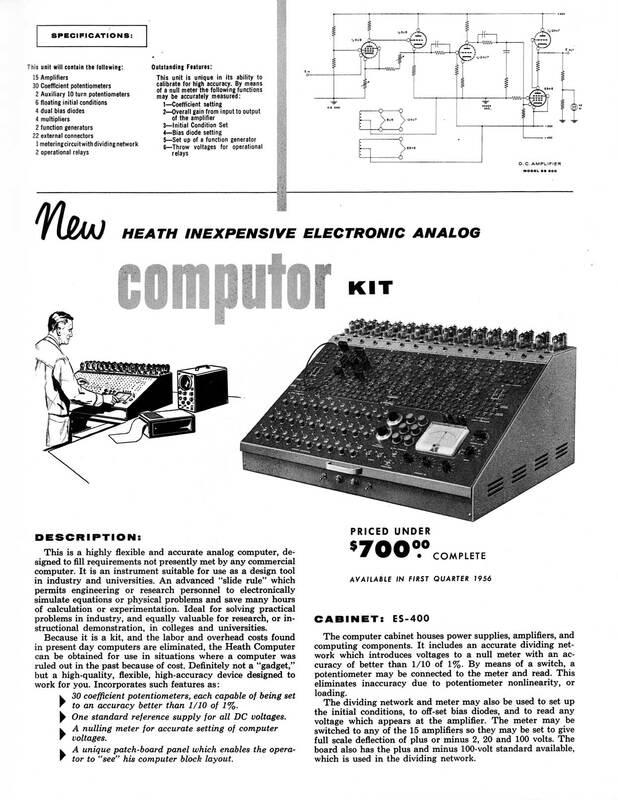 The EC-1 came from Heathkit, and it resembles a modern computer in name only, as this was an “analog” computer. Analog computers resemble digital computers in the same way slide rules resemble digital calculators, which is to say they can both produce an answer, but they are otherwise utterly different animals. Build your own computer in in 1956 – how mid-century modern! 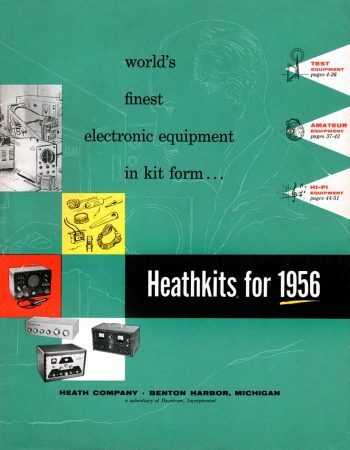 It’s hard not to be impressed with Heathkit’s forward thinking. Computers of any kind had only entered the public consciousness just a few years earlier, and those were building-filling behemoths from Univac and IBM. This was so new that the headline called the EC-1 and “computor” and no one caught it in time to make a correction. For Heath to create something that could calculate for a mere $700 or so must have been impressive indeed. At the same time, that was three or four times more expensive than any other product in the heath catalog. A decent number were sold – often to schools – and you regularly can find them for sale on eBay.